This week's mystery seeds are also black, and seem to have two marks. 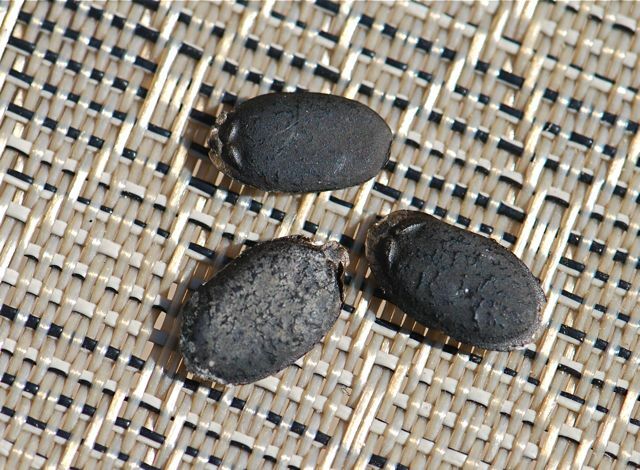 They are about the size of a watermelon seed. I found these on the ground at a gourd show, but the plants they grow into are not gourds. Can you guess what fascinating plant these seeds are from? Did you ever find out what these were? I have that exact seed staring at me on my desk taunting me.